There are lots of different hardwood floor finishes to be used depending on several important issues. It is best to always consider your floor maintenance because all natural wooden floors need to be cleaned and maintained done on a regular basis. Surface finish – this is a popular type of finishing for the floor characterised by high durability, effective water-resistance and structure that does not require often cleaning and maintenance. Surface finish is one of the best finishes as it creates a protective barrier on the top of the wooden planks. You may choose from acid-cured, water- and oil-based and also moisture-cured surface finishes. Wax finish – this type of floor finishing provides great protective values as it soaks deep into the wood to form a layer of effective and protective sealing which adds up also to the overall visual aspects of the floor. After the application different types of wax finishes may require different periods of time to become fully dry. 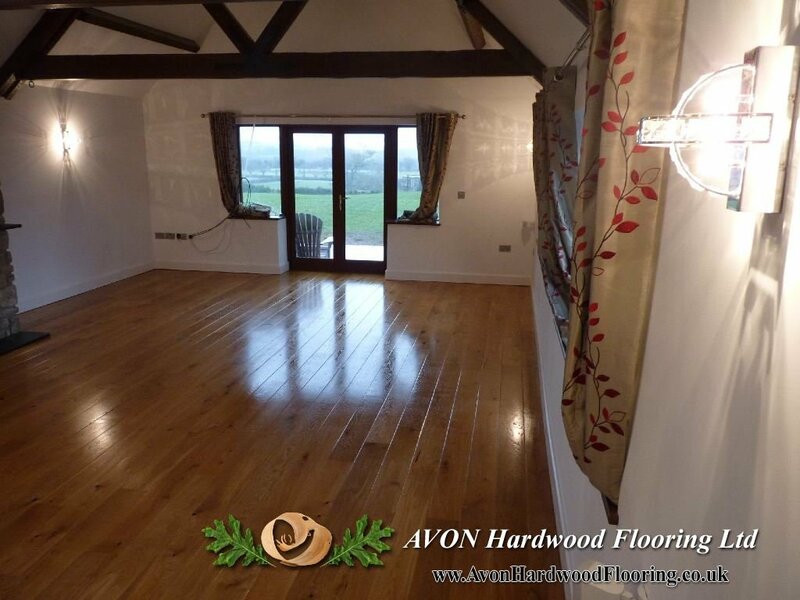 Acrylic finish – this type of finishing is injected directly into wooden planks and it strengthens the floor. Note, however, that these types of finishes are seldom used in houses though they are perfect for high traffic areas such as shops, restaurants, bars, etc. If you require professional engineers and specialists to do the application of any type of finish for your floor – contact us and we will help you out. We are the company based in Bristol and perform the entire range of floor fitting, installation, renovation, finish application, sanding and many other works. We use latest technology floor finish applicator systems and extensive experienced gained over 10 years of our professional service.